This week the new BeagleBone Black Rev C development board has been unveiled offering a similar board to that offered by the Raspberry Pi mini PC and Arduino UNO. 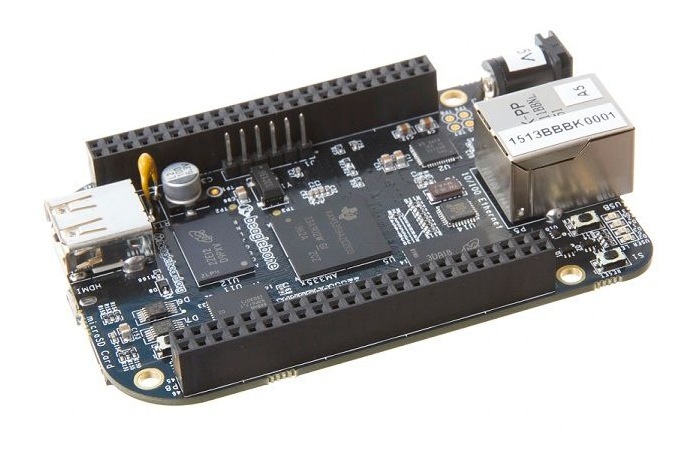 The latest BeagleBone Black Rev C now comes supplied with Debian Linux instead of Angstrom Linux and is powered by a Texas Instruments ARM Cortex-A8 single core processor supported by 512MB of RAM. Other features of the new BeagleBone Black Rev C include 4GB of built-in eMMC storage together with a microSD card slot for further expansion when required. The development board is also equipped with two 26-pin headers, and other I/O features allowing you to create a variety of projects for prototyping, education and development purposes. Orders for the new BeagleBone Black Rev C will be shipping in the middle of May, after BeagleBone Black Rev B back orders have been fulfilled. Hackertronic and Sparkfun are already accepting pre-orders priced at $55.